This is my boyfriend's golf umbrella which for some reason lives on the patio. The Nike logo is not at all stylish, my apologies. 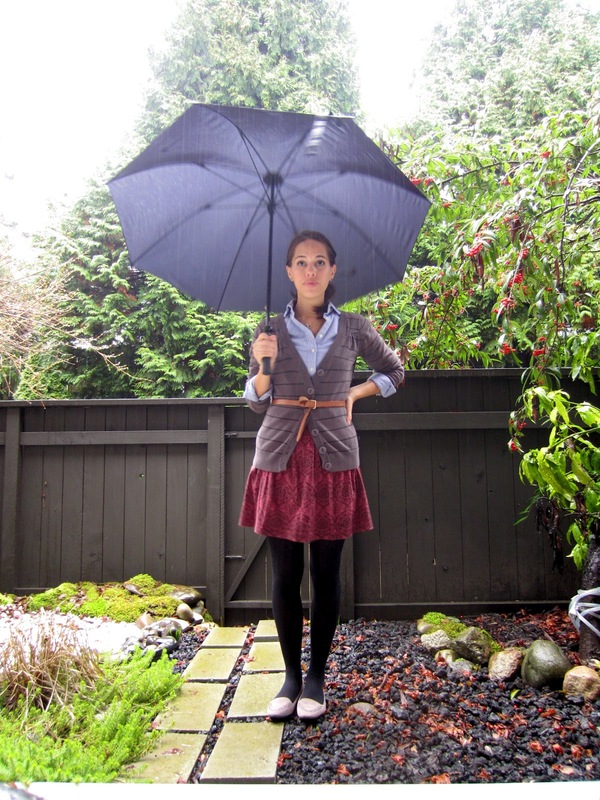 Such a cute outfit, you're brave to wear it in the rain! I'm always afraid my flats will get ruined if I step in a puddle. love the way you layer! the outfit is lovely!